The genial Nashville-based Homecoming favorite, Ivan Parker, raised in the piney woods of North Carolina, has sung everywhere from New York’s Carnegie Hall to Johannesburg’s Mosaiek Theatre. His new CD takes a fond look back, but he’s still headed for that city with streets of gold. Staying in a reflective mindset, let’s review a little Ivan Parker 101. 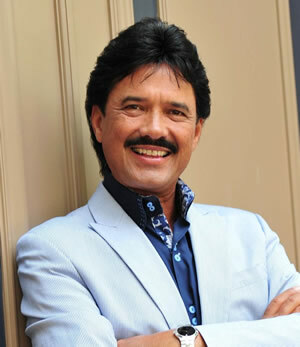 He first came to the attention of Southern Gospel fans with the Singing Americans in 1982. That group is remembered today for all the talented performers who came through and went on to enjoy long gospel music careers. 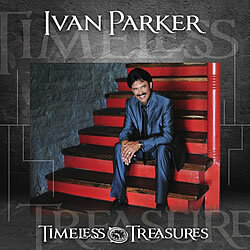 In Ivan’s case, he stayed little more than a year before joining Gold City as lead singer in 1983. He would spend 11 meteoric years with bass Tim Riley, tenor Brian Free and baritone Mike LeFevre, recording a bevy of Top 10 hits (“There Rose a Lamb”) and winning buckets of awards — all of which ushered Ivan into the Alabama Music Hall of Fame. In 1994, however, he decided it was time to step out on his own.